With each passing month, the weather cools, the days become shorter and a subtle shift in energy comes to pass. This is autumn, a season that beckons slower living; more mindful living. We have, after all, already raced through the first third of this year, but how much of it can you recall, and how much time did you truly make for yourself? 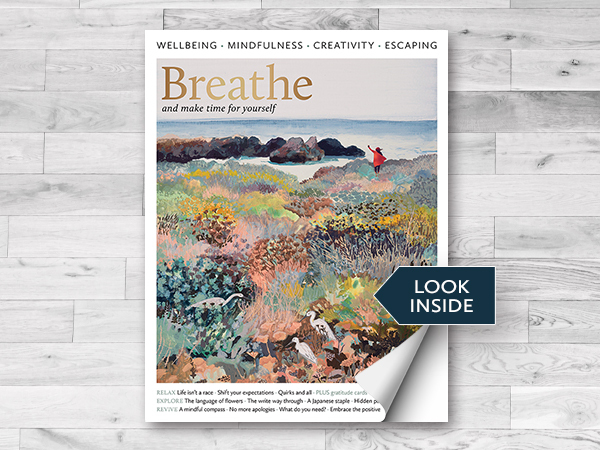 In the latest issue of Breathe, you’ll notice we’ve placed an emphasis on indulging in self-reflection and self-compassion. Whether you’re kicking your feet up and reading this latest issue, getting some cool refreshing air on a long weekend walk, or perhaps reconnecting with your inner wisdom by trying your hand at creative writing (our prompts within these pages may help you on your journey), there’s never been a better time to get to know, and love, the real you. Celebrate you with our articles on revealing your true nature, taking life at your own pace, discovering what you need to be happy and more. Happy reading!